What has motherhood taught you about Jesus Christ? That’s the question I asked Whitney Permann of MERCY RIVER because it’s the central theme of my blog– finding the divine among the daily details of motherhood. 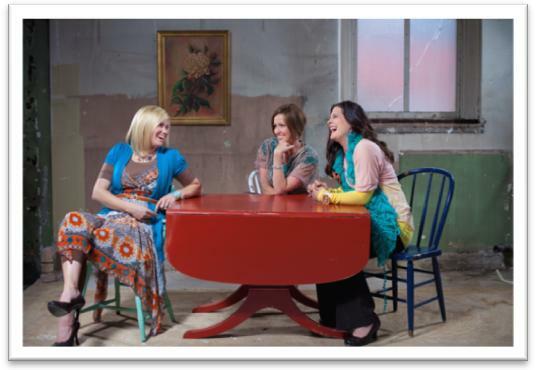 MERCY RIVER is a musical trio of LDS women (Brooke, Whitney, and Soni). With thirteen kids between them, they understand how busy a mother’s life can be, and they also juggle being recording artists and inspirational speakers. Check out this video for a peek of them rehearsing and entertaining seven kids at the same time. What has motherhood taught me about Jesus Christ? Motherhood has taught me many things. I’ve learned that patterned shirts hide snot and spit up better than plain shirts. I’ve learned that cell phones don’t work correctly after they’ve been sucked on too many times. And I’ve learned that I should always check for stray pull ups before I throw a load of laundry in. I’ve also learned about polar bear habitats, all five signs of strep throat, and the name of every member of the BYU football team. But most importantly, motherhood has taught me a lot about Jesus Christ. As a mother, I’ve learned about justice and mercy, faith and prayer, joy and sorrow, and deep, intense love. Each of these things connects me to Him. We are symbols of Christ. We offer our physical bodies in pregnancy and childbirth to provide life for our children. Jesus Christ offered His physical body in death, to provide life for God’s children. And both involve water, blood, and the Spirit. But it doesn’t stop there. A mother’s offering does not begin or end with her body. Yes, a mother offers her body through sleepless nights, weary arms, a well-worn lap, an aching back, and a listening ear. But what a mother offers most is her heart. Her entire soul. And isn’t that what Jesus Christ has offered us as well? Just as we see it symbolized in motherhood, He offers us His body, and His heart and soul. So I ask, how does this knowledge–that we are symbols of Christ–change the way we view motherhood? Does it change the way I see myself or my children? Should it? And what is the meaning of it all? Why has He chosen to use mothers in this beautifully symbolic way? I think it means He thinks we’re pretty special. I think it means that mothering should be reverenced and protected. I think it means that by daily nurturing, loving, teaching, and sacrificing for my children, not only am I coming to know more about Him, I am coming to be more like Him. I love that, Whitney, and I absolutely agree. Perhaps no other calling on earth can give more opportunity to become like Christ than the calling of a mother. Thank you! 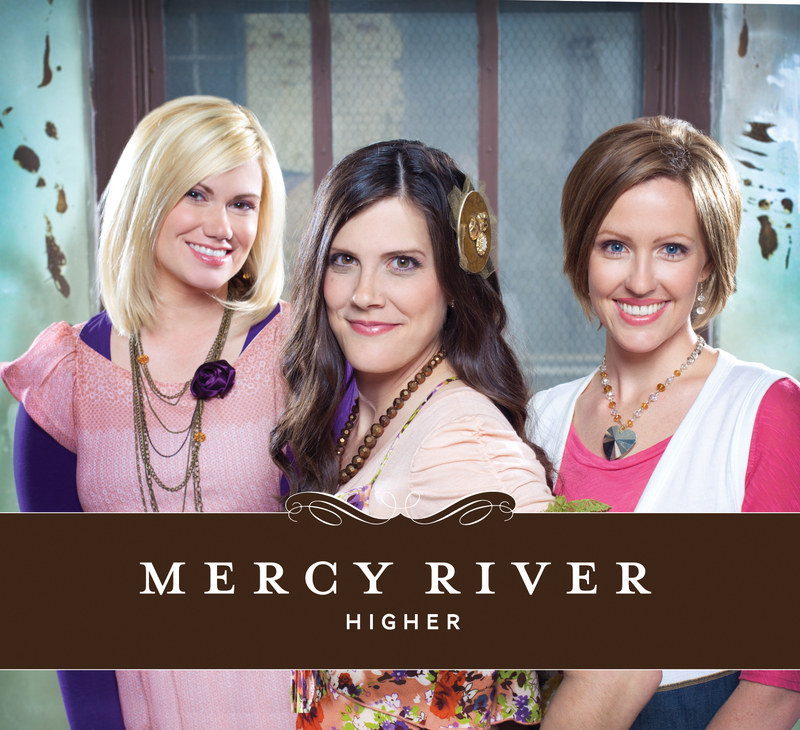 MERCY RIVER has just released a new album, “Higher,” and they are offering a free copy of their CD to one lucky reader. There are some beautiful songs on this album. I think my favorites are two songs I was already familiar with from the Christian radio station I like to listen to: “Blessings” and “Better than a Hallelujah.” This is great Sunday music, but it’s also upbeat enough for any day at home or in the car. If you want to hear a song from this album, you can go to their Facebook page here and listen to “Beautiful Life.” You’ll also find more information about their current blog tour and any upcoming performances. So, you wanna be a winner? It’s simple really. In just one or two sentences, answer the same question Whitney did: What has motherhood taught you about Jesus Christ? (Your answer doesn’t have to be original, just true to you. It can be longer, too, but no pressure.) Each person who comments before midnight on Friday will be entered in a drawing to win Mercy River’s new CD.